Miss Colombia Paulina Vega smiles after being crowned Miss Universe at the 63rd Annual Miss Universe Pageant in Miami, Florida, January 25, 2015. Miss Colombia, Paulina Vega, was crowned 2014 Mis Universe in America on January 25, 2015. Paulina Vega, winner of the 63rd Annual Miss Universe Pageant in Miami, Florida,was born on January 15, 1993 in Barranquilla, Colombia, according Miss Universe's website. She is the daughter of cardiologist Rodolfo Vega Llamas and Laura Dieppa, and granddaughter of the legendary tenor Gatsón Vega. She is also the grandaughter of Elvira Castillo, Miss Atlántico 1953 (Colombia). She studies business administration at the Universidad Javeriana in Bogota. She has been a model since she was 8 years old. In the Miss Universe Colombia pageant she earned the highest score possible in every presentation, 9.9, the pageant's website wrote about her. Formed in 1952 in the U.S., Miss Universe has become one of the world's biggest pageants, attracting lots of beauties around the world every year. 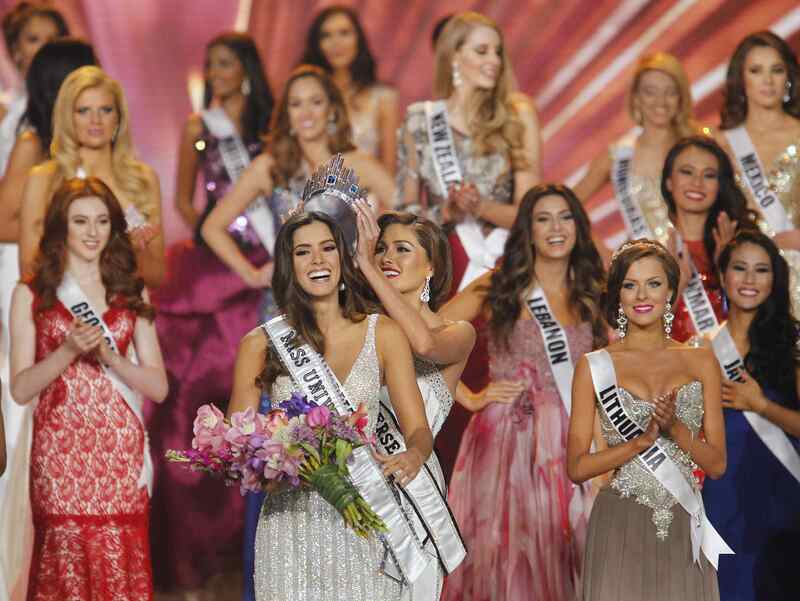 The 2014 Miss Universe Pageant attracted 88 contestants across the globe.